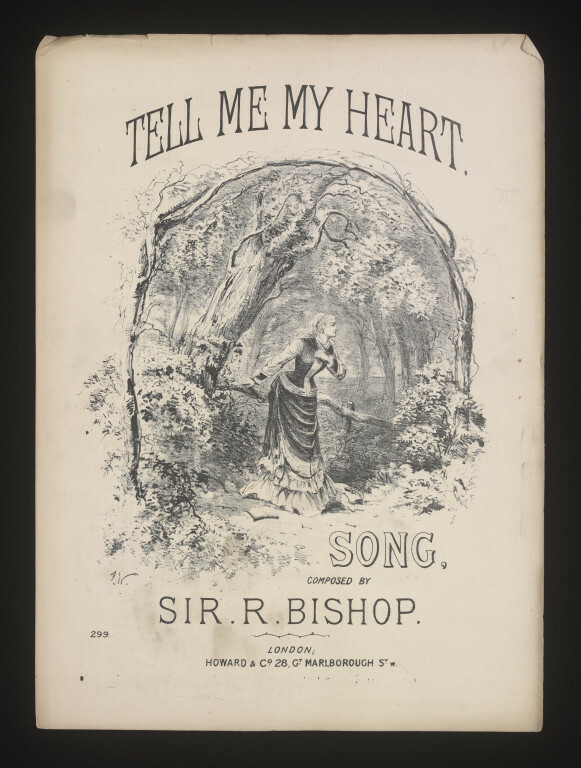 Sheet music for Tell Me My Heart, written by Sir H.R. Bishop, published by Howard & Co., ca.19th century. 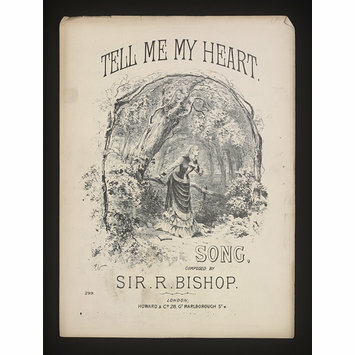 Music sheet for Tell Me My Heart.